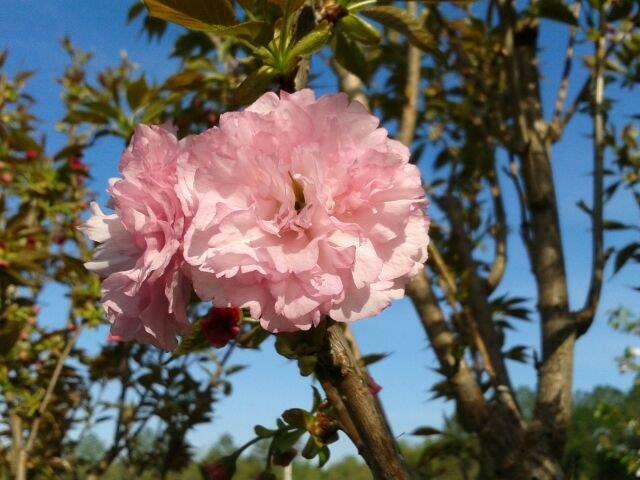 Kwanzan blooms mid spring, and is covered in clear pink double blooms. Deciduous, reaches 25-30 feet in height and width. Fall color is a yellow-orange.